Spring time is here and we can started stacking our wrists up with bracelets! Let’s kick off the season with a little day of making as many bracelets as we can! 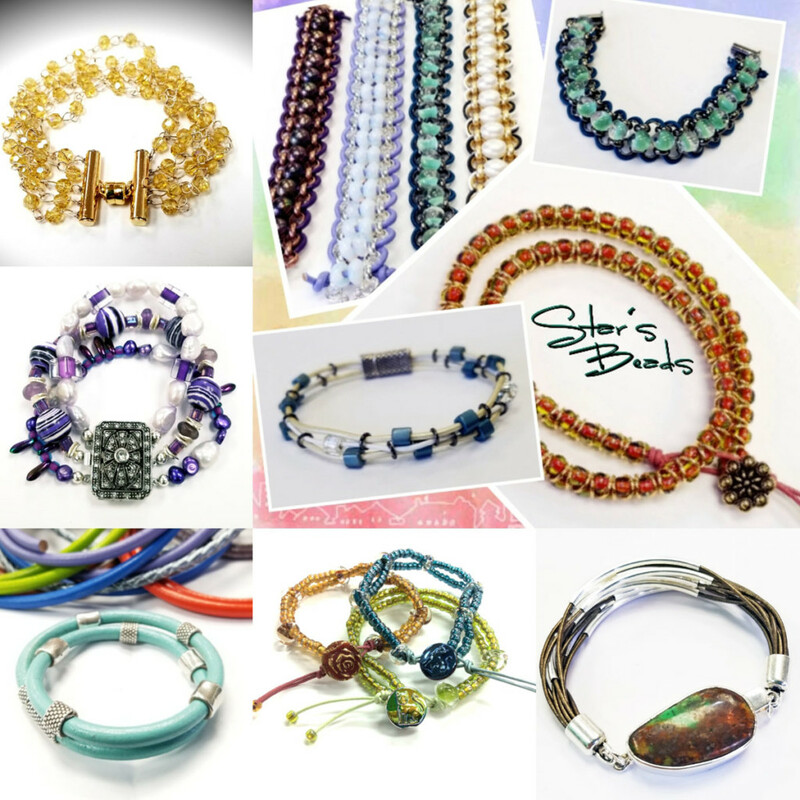 Join us for a spring bead social. We will have lots of samples of various designs we can create to keep you busy all afternoon. See you there! Sunday April 14th 12:30 – 3:30 Drop in or stay all afternoon! Have you been wanting to learn what all the talk about kumihimo is all about? Learn the basics of this hot trending style from actually an old Japanese technique of braiding, traditionally done with gorgeous strands of colored silk. The belt used on the kimono, the obi, was tied by a kumihimo cord, the obijime. Kumihimo is a beautiful art that is culturally significant and can make exquisite necklaces or bracelets. Learn the basics of kumihimo and you will be hooked! In this class we will introduce the use of beads and how to make up different patterns. 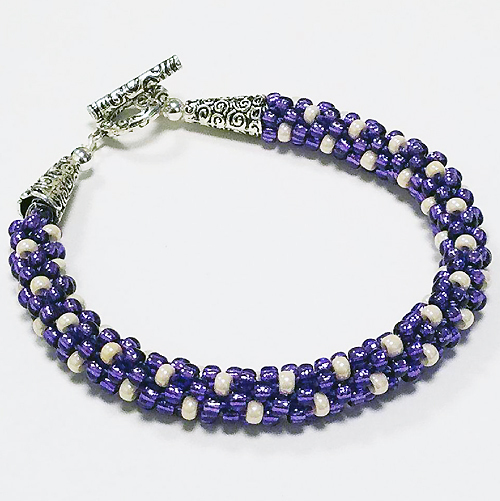 A mala is a set of beads commonly used by Hindus and Buddhists for keeping count while reciting, chanting, or mentally repeating a mantra or the name or names of a deity. A mala necklace consists of 108 beads plus a “guru” bead and are the newest trend in wearable yoga. 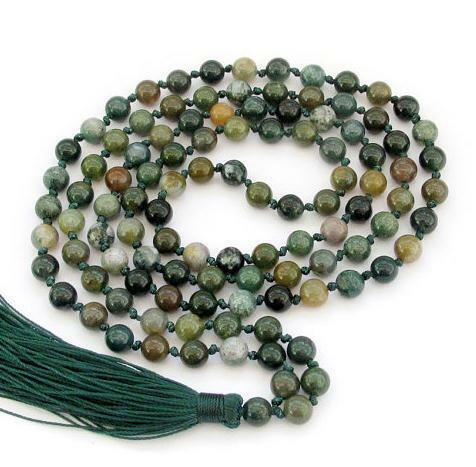 Designers are making mala necklaces that combine gemstones imbued with potent energies and sacred meaning. Learn the traditional knotting technique while you design your own meaningful mala with a guru bead and tassel. You can sign up online for our classes through Eventbrite, give us a call OR email to reserve your spot.